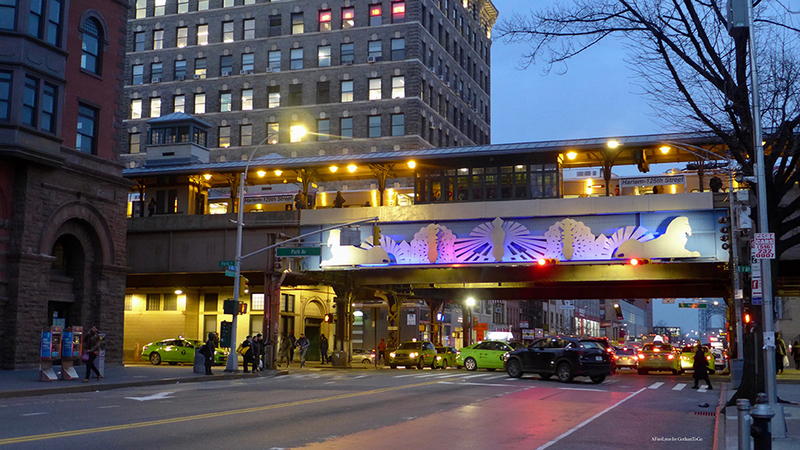 The above-ground Metro North Station on East 125th Street boasts the MTA commissioned sculpture entitled Harlem Encore. 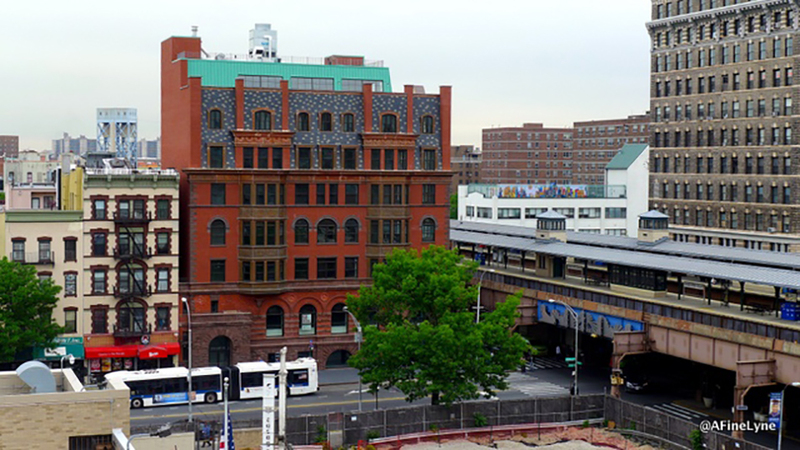 The work, created by sculptor artist Terry Adkins, celebrates Harlem’s past achievements and bright future. The view on the Eastern side salutes continuity and urban life with figures seen in the midst of skyscrapers. On the Western side, Adkins memorializes the Afro-Atlantic ancestors with figures that reflect the spiritual triumph over adversity. On both sides, spines and streaming suns add strength, dignity, and timelessness. 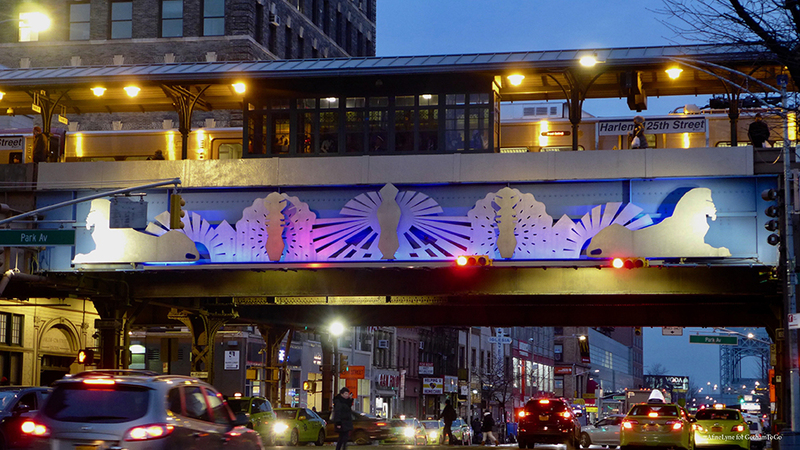 When Harlem Encore was installed in 1999, the silhouetted aluminum relief panels, that span the viaduct across all lanes of 125th Street, included ornamental back-lighting, that in recent years had gone dim. Now, just in time for Black History Month, the blue back-lighting is once again on view each evening, recreating the artist’s original intentions. 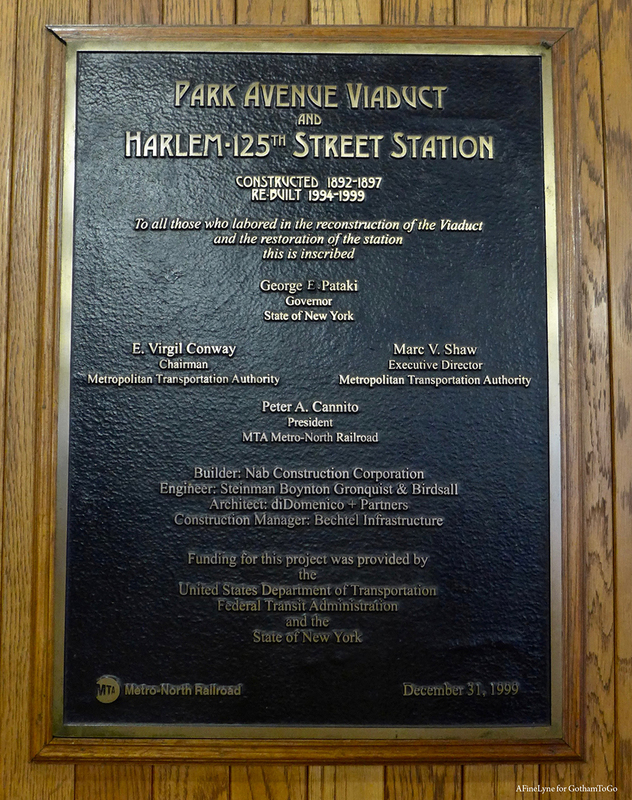 The Landmark 125th Street Metro North Station, with some original details dating back to the 19th century, underwent a six-year renovation which was completed in 1999, coinciding with the installation of Harlem Encore. 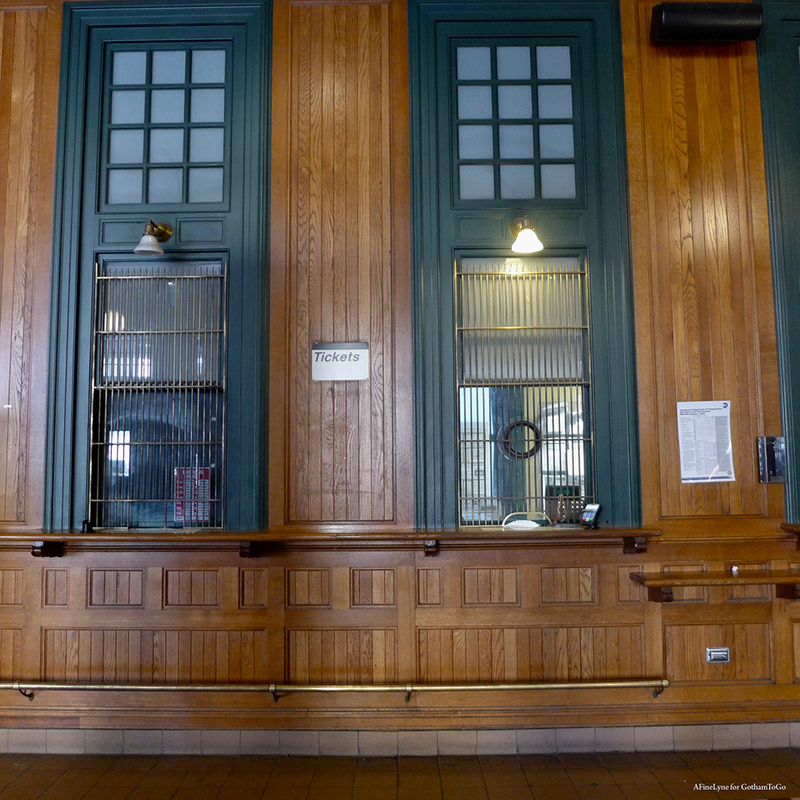 Read more about the restored historic Corn Exchange Bank Building. 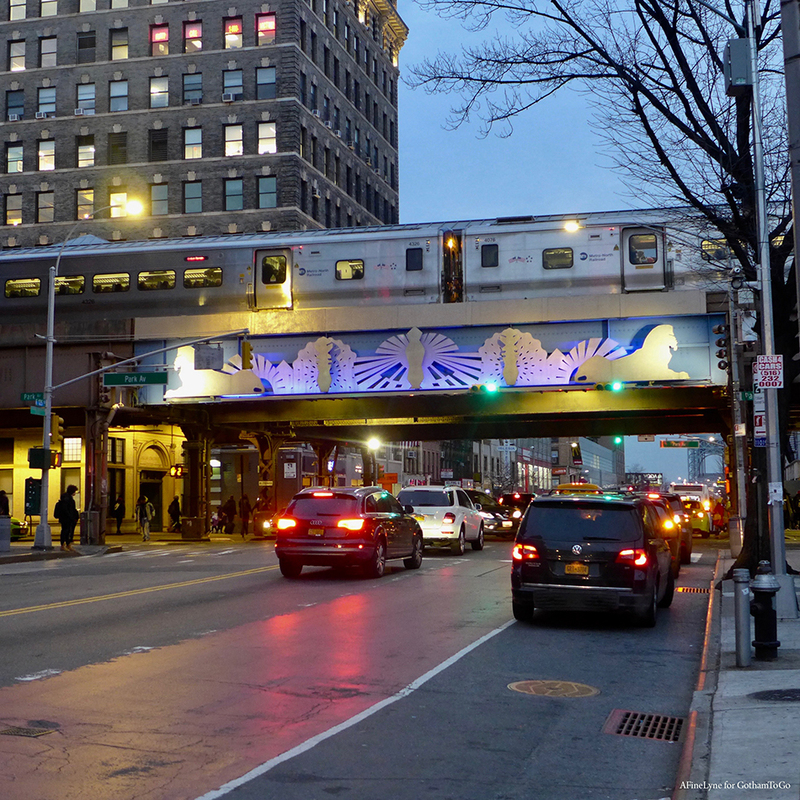 Read more about East Harlem’s 125th Street ~ A Work in Progress.